When you shop at Kroger you use your Kroger Plus Card to get points. You can then use those points to get cents off fuel! 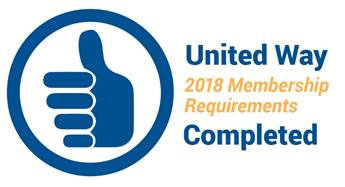 The Community Rewards Program takes it one step further, every time you use your Kroger Plus Card a percentage of your sales will be donated by Kroger every quarter to United Way of Gordon County! Enter the name of the organization - United Way of Gordon County - select our organization from the list and click on confirm. To verify you are enrolled correctly, you will see United Way of Gordon County's name on the right side of your information page. Remember, purchases will not count for the group until after you register your card(s). Be sure to have your Kroger Plus Card handy and register your card with United Way of Gordon County after you sign up. If you do not yet have a Kroger Plus Card, they are available at any Kroger Customer Service desk. Most participants are new online customers if you are you MUST click on "Sign Up Today" in the New Customer box. Sign up for a Kroger Rewards Account by entering your zip code, clicking on favorite store, entering your email address and creating a password, agreeing to the terms and conditions. You will then get a message to check your email inbox and continue the process by clicking on the link within the body of the email you receive. Enter the name of the organization- United Way of Gordon County - select our organization from the list and click on confirm.